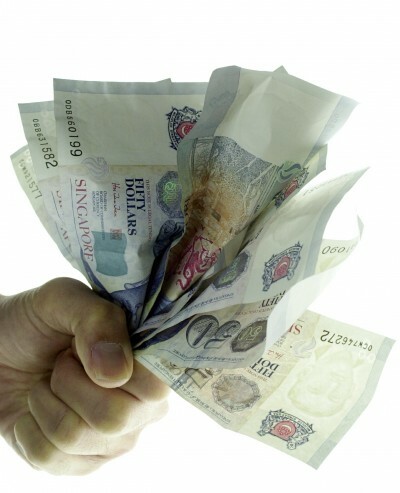 INCOMES at the bottom have continued to rise, according to figures shown by Acting Minister for Social and Family Development Chan Chun Sing in Parliament yesterday, but he said the Government will do more to help low-income Singaporeans. The real median gross monthly income for employed residents increased 1.3 per cent a year from 2002 to last year, after rising 2.7 per cent a year from 1996 to 2002, Mr Chan said, in reply to a question on social mobility from Nominated MP Tan Su Shan. For the lowest 20th percentile of employed residents, real gross monthly incomes rose 0.1 per cent each year from 2002 to last year, and 2.2 per cent a year from 1996 to 2002. These figures are in real terms, and so were adjusted for inflation. They are also before government transfers such as the Workfare Income Supplement given to top up incomes of low-wage workers. Another measure of absolute social mobility is educational attainment. Here, the percentage of Singaporeans who did not complete secondary education has dropped to 1 per cent today, from 4 per cent 10 years ago, and 10 per cent 20 years ago. Of the Singaporeans who completed secondary education and went on to get a post-secondary education, the share has increased to 94 per cent today, from 86 per cent 10 years ago, and 60 per cent two decades ago. Mr Chan said the Government, however, does not have data to track relative social mobility, which is the proportion of people who have moved up or down the socio-economic ladder relative to the rest of their cohort over time. Ms Tan raised concern from a 2007 study by National University of Singapore academic Irene Ng that showed Singapore's inter- generational income elasticity - a measure of such relative social mobility - to be worse than that of Hong Kong and the Scandinavian countries. Mr Chan said the ministry was most focused on helping the bottom 20 per cent of income earners. He said the Government has looked at a few studies of inter- generational income elasticity but because of varying assumptions made by these different studies, none has been found to be "particularly complete".From limited data, some studies showed Singapore to be "roughly in the same situation as the US and the UK", said Mr Chan, who was not totally satisfied with the data as it took a cohort from some years back. "What we want to do is to be able to consistently track the cohorts going forward and that will require us to conduct some longitudinal studies which will take some time," he said.